Los Angeles, CA – The Kickabout 2010 is proud to announce a new Signature Partnership with Right To Play, one of the largest and most successful sport for development organizations in the world. During our adventure through Africa, the Kickabout will visit several Right To Play projects and highlight the work they are doing in refugee camps, rural communities, and urban areas throughout Africa. Right To Play is an international humanitarian organization that uses sport and play programs to improve health, develop life skills, and foster peace for children and communities in some of the most disadvantaged areas of the world. Working in both the humanitarian and development context, Right To Play trains local community leaders as Coaches to deliver its programs in countries affected by war, poverty, and disease in Africa, Asia, the Middle East, and South America. “We are thrilled about this partnership because we have seen firsthand the amazing work Right To Play are doing for the world’s refugees and internally-displaced persons,” Lorrie, Founder of the Kickabout and Right To Play Athlete Ambassador, "Many of these children have been displaced on account of war and violence, and Right To Play are empowering and educating these youth though sport, helping to give them an opportunity for a brighter future. We are so excited to visit the project sites, play football with the children, and hopefully highlight their wonderful work in refugee camps around the world." 9 comments: on "Right To Play Joins Kickabout"
Copyright 2009. 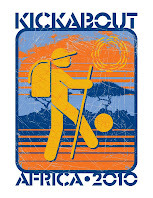 Kickabout: Africa 2010 - WPBoxedTech Theme Design by Technology Tricks for Health Coupons.